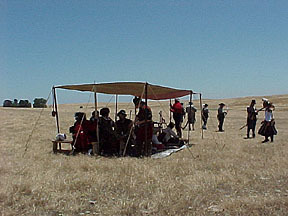 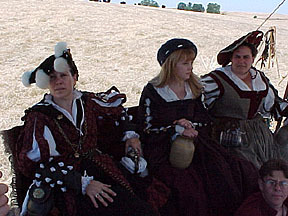 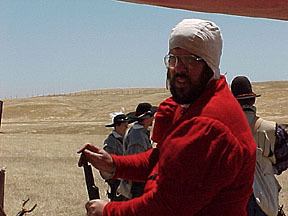 The Renaissance Military Society Shutzenfest near Winters. 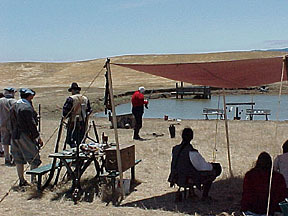 I only made it out for Sunday, and set up sunshades nead the pond were we shot at various targets. 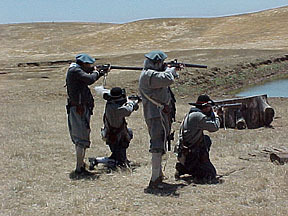 Dale Shinn and friends did some volley fire, and we managed to get everyone together for one massive volley. 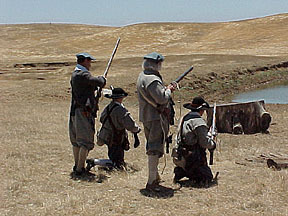 "Hey, this Matchlock thing is great!"